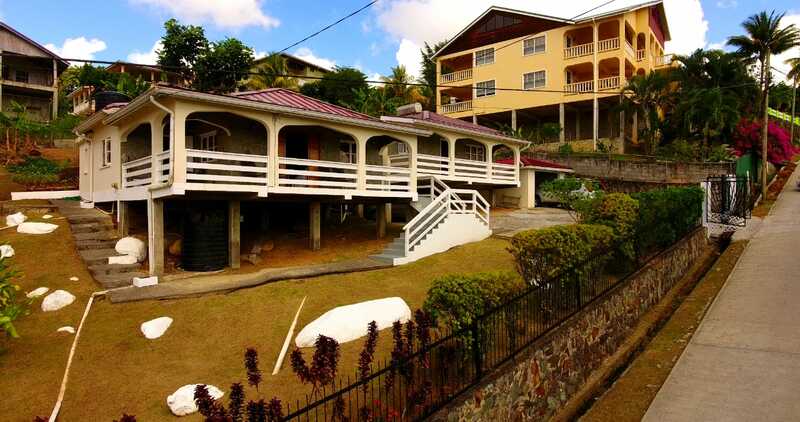 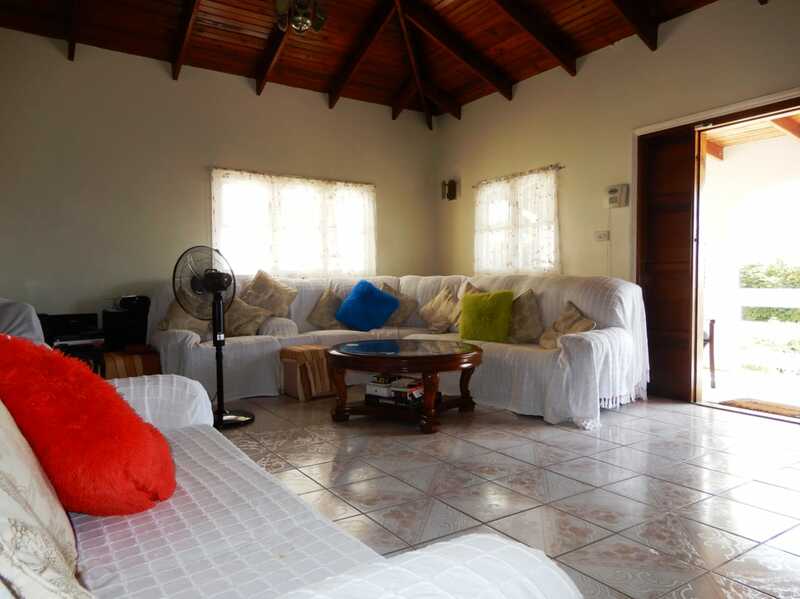 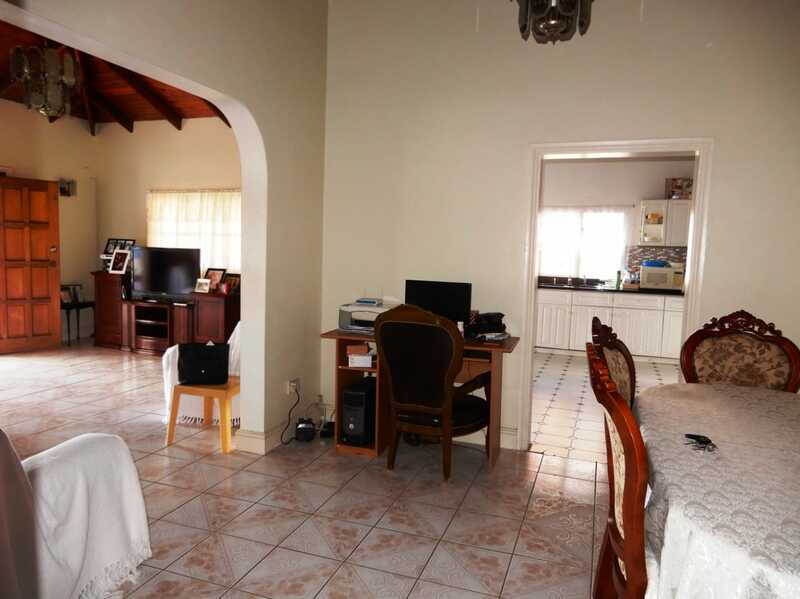 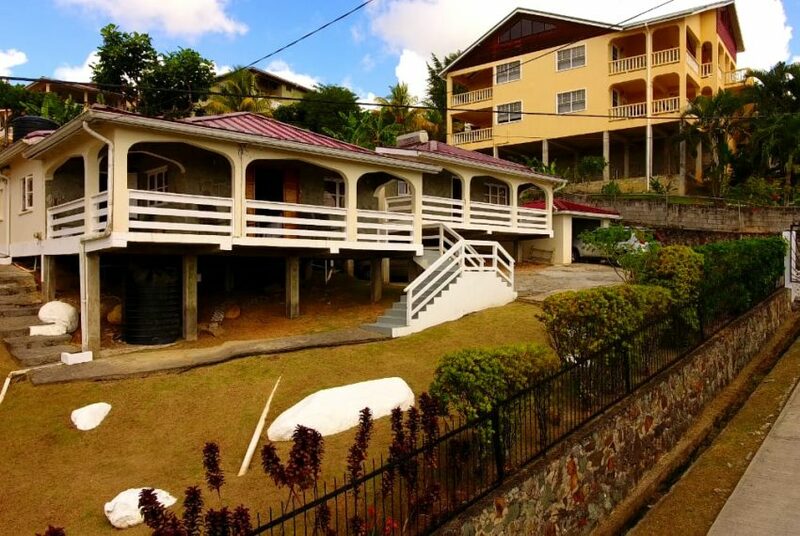 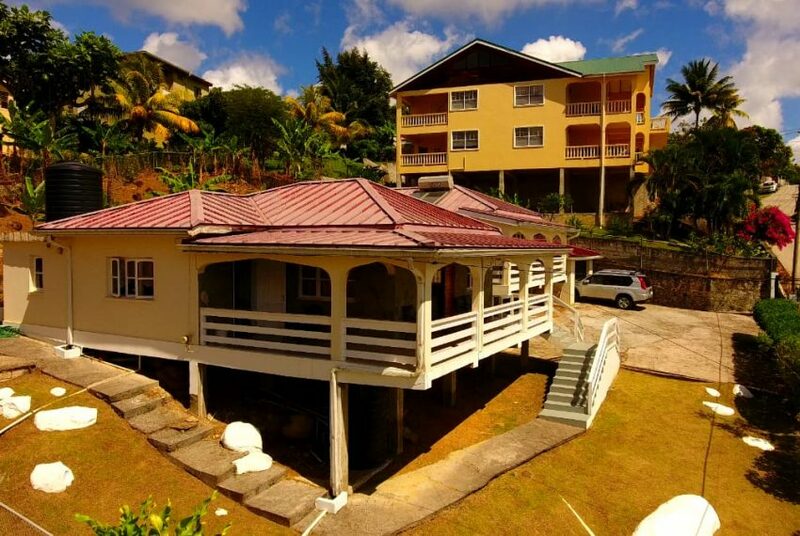 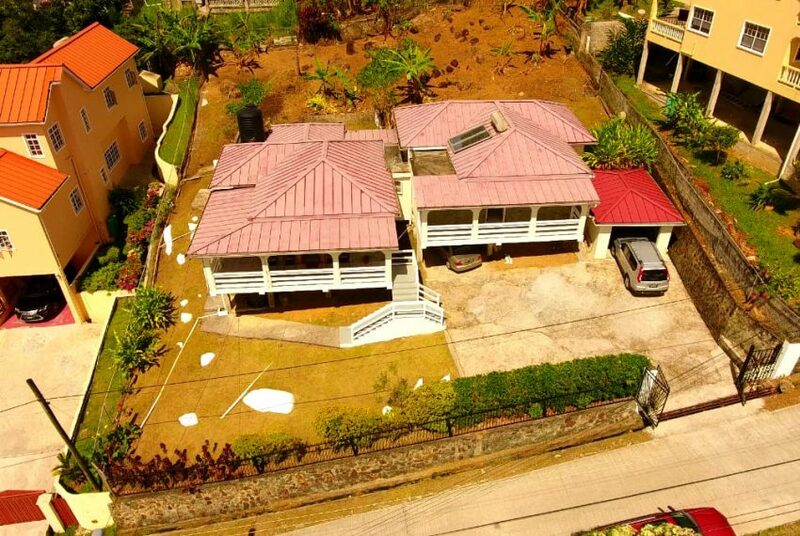 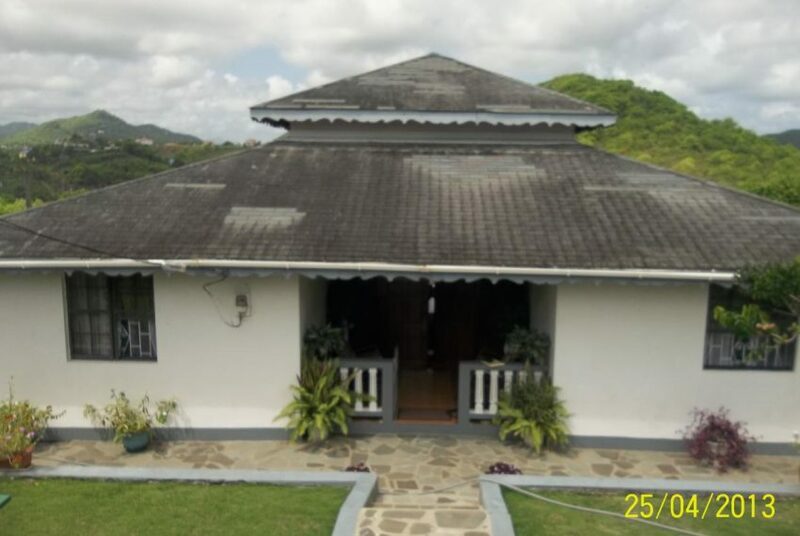 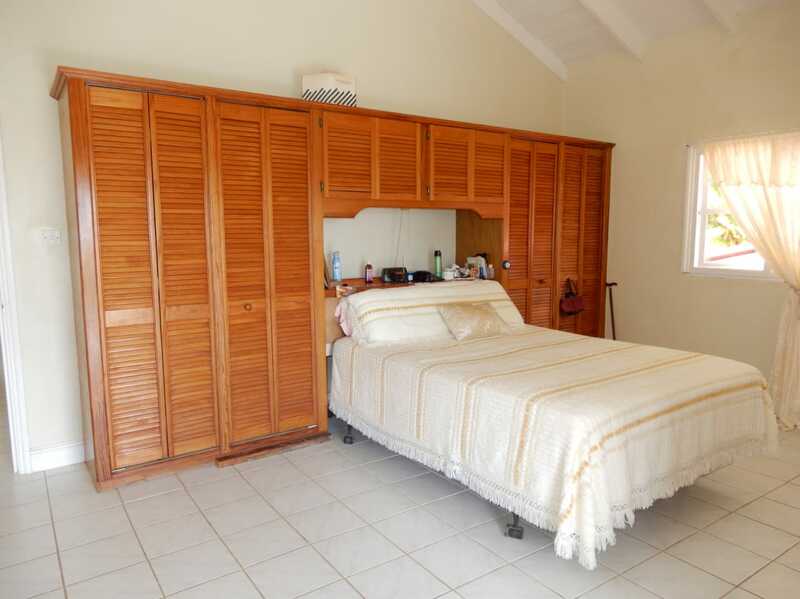 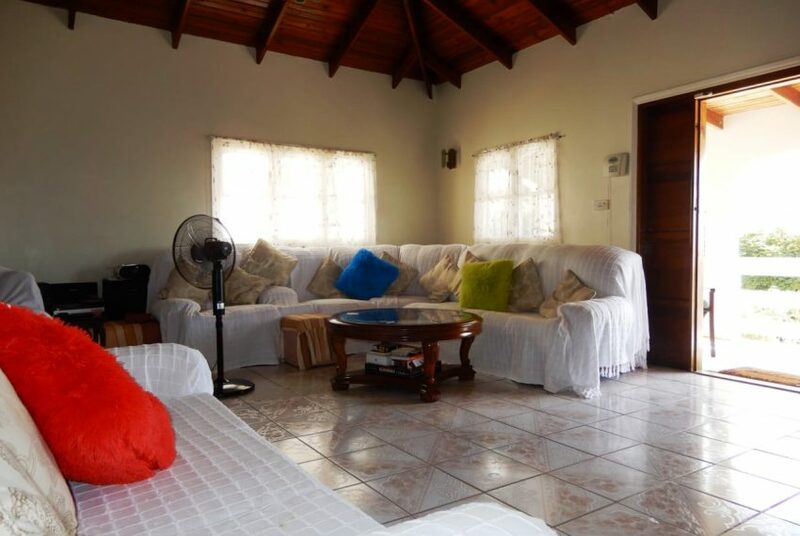 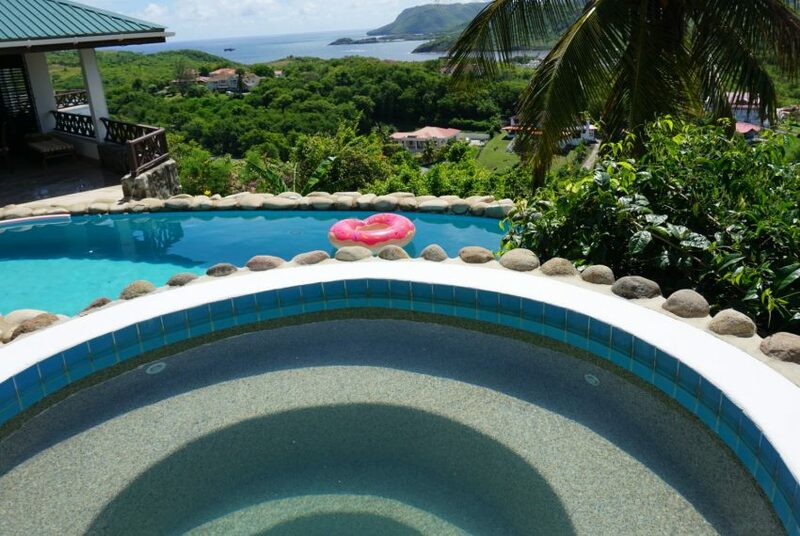 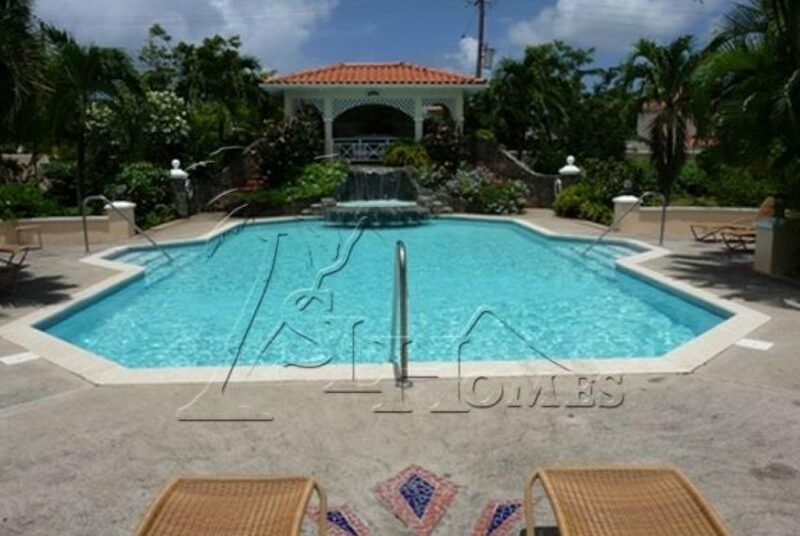 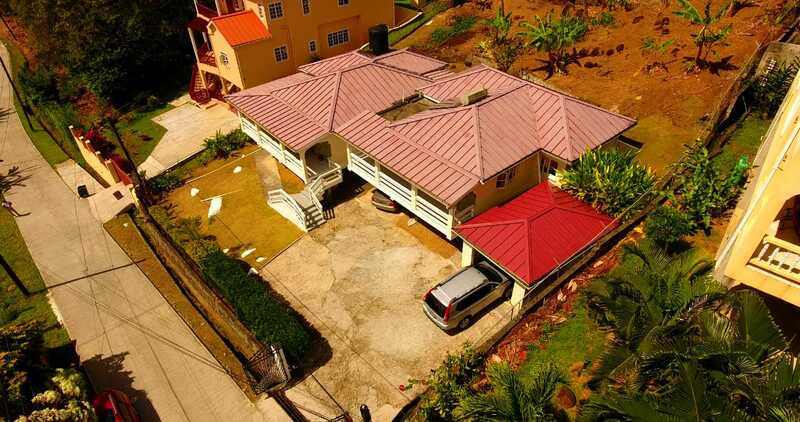 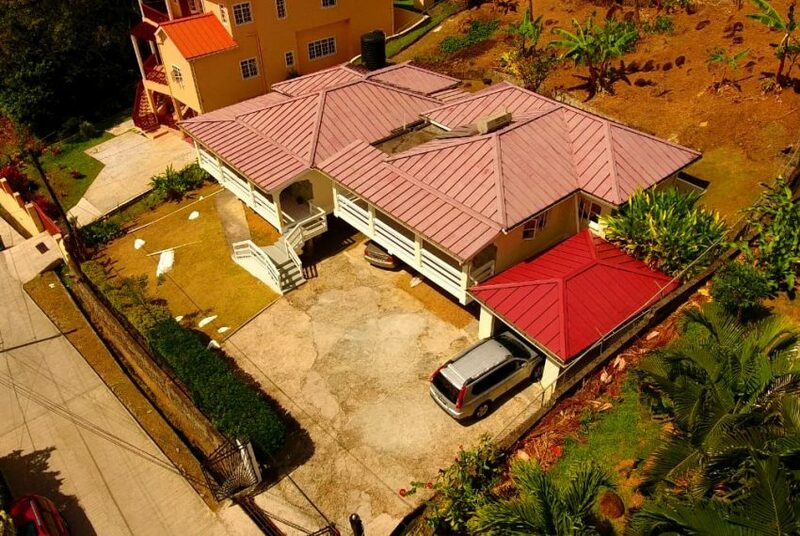 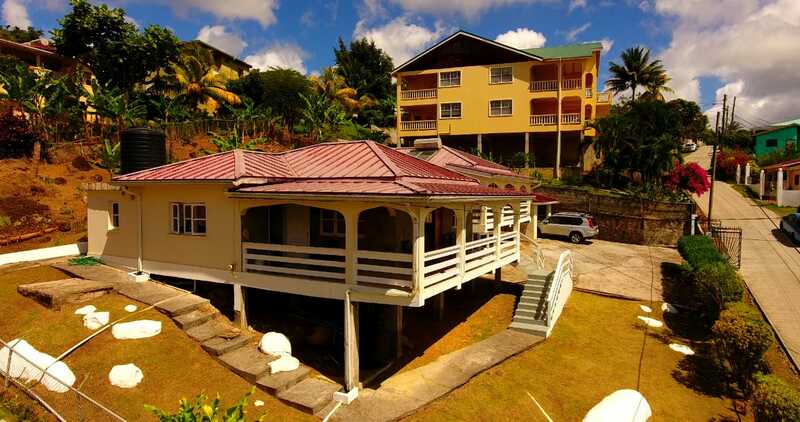 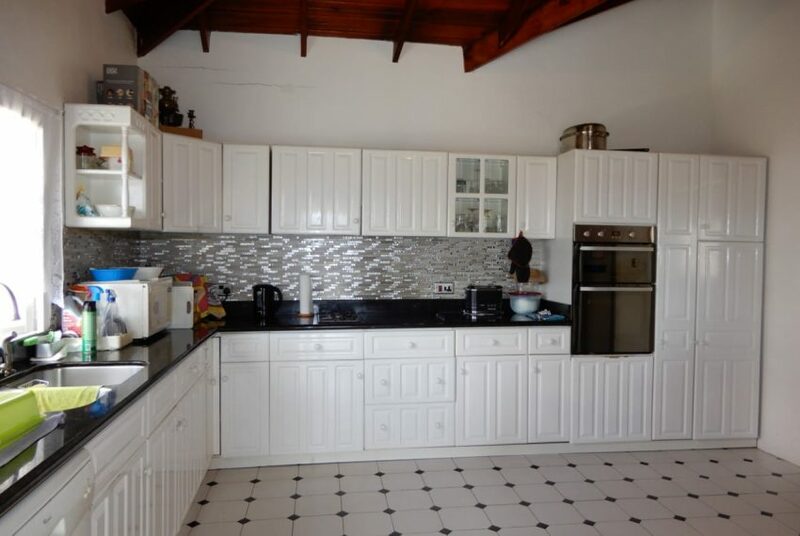 This 3 bedroom, 2.5 bathroom split-level home is located at Goodlands, Castries and sits on approximately 13,000 sf of land. 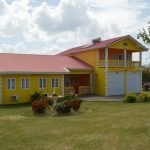 Access is a newly constructed concrete road turning into a fully fenced and gated property with concrete driveway and a 1-car garage. 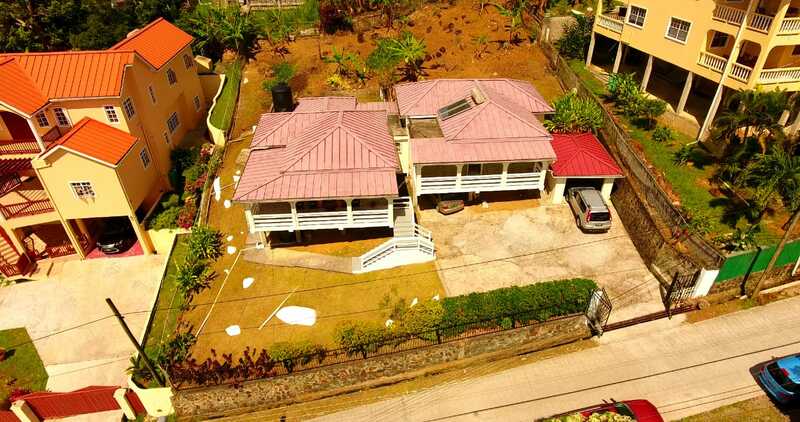 Attractive curb appeal with rot iron fencing and stone wall, grey stone-faced exterior, white wooden balcony railings, well-manicured grounds, galvanize roof and concrete walkway around the perimeter. 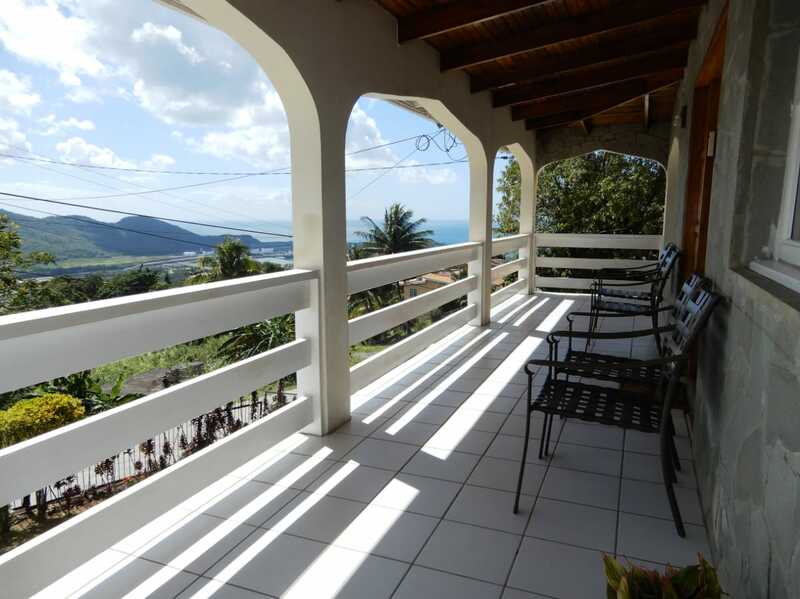 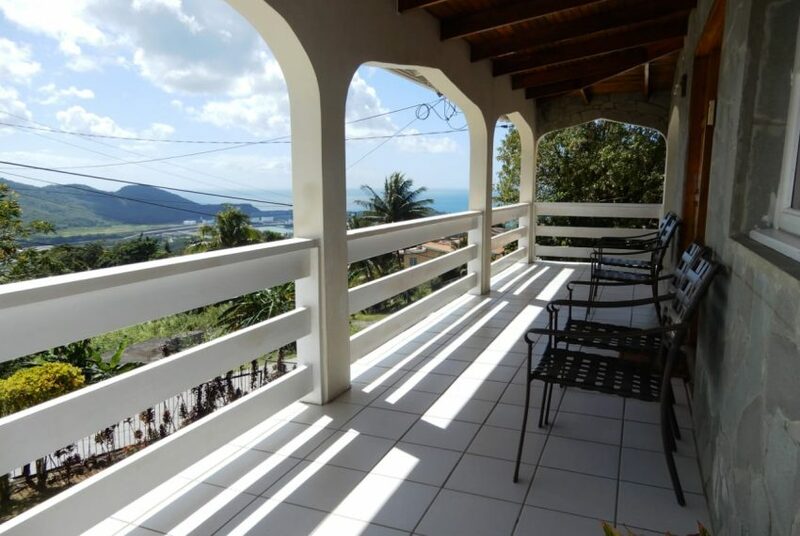 Just a few steps leads to the main level where you encounter a large balcony with fantastic sea and mountain views. 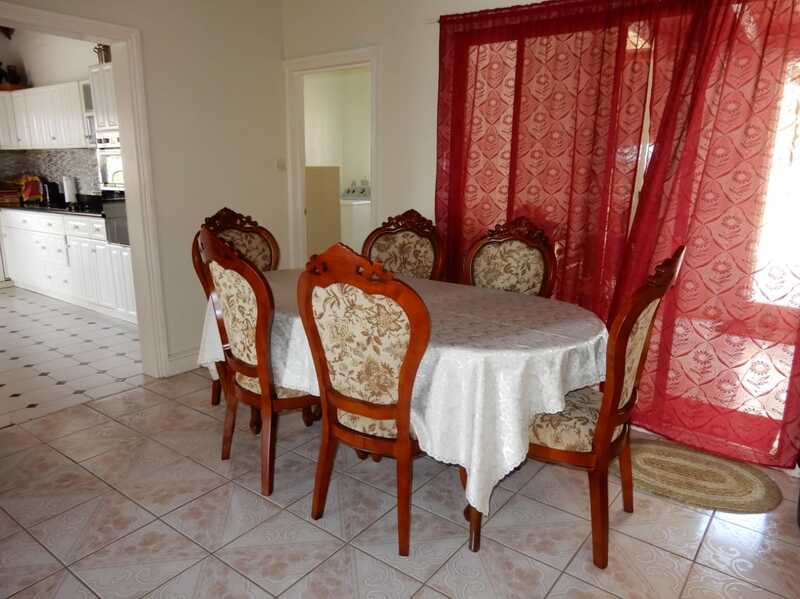 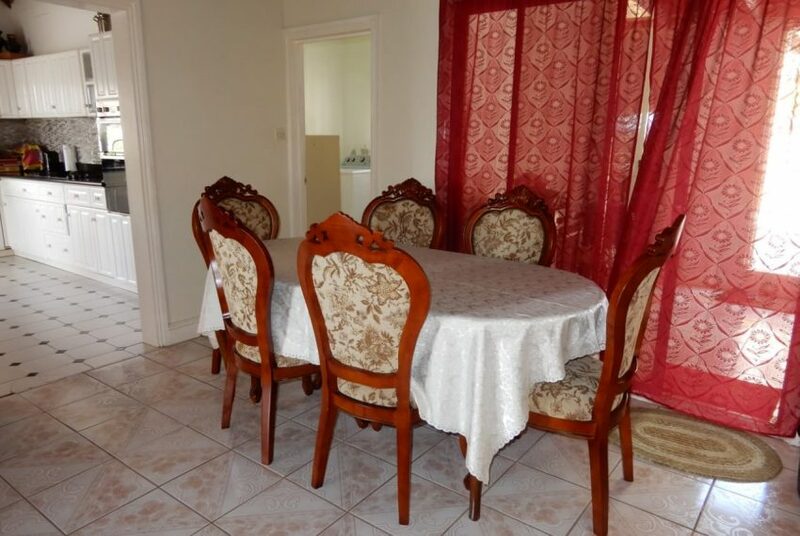 Enter into a large living room, dining room and kitchen with high wooden ceilings. 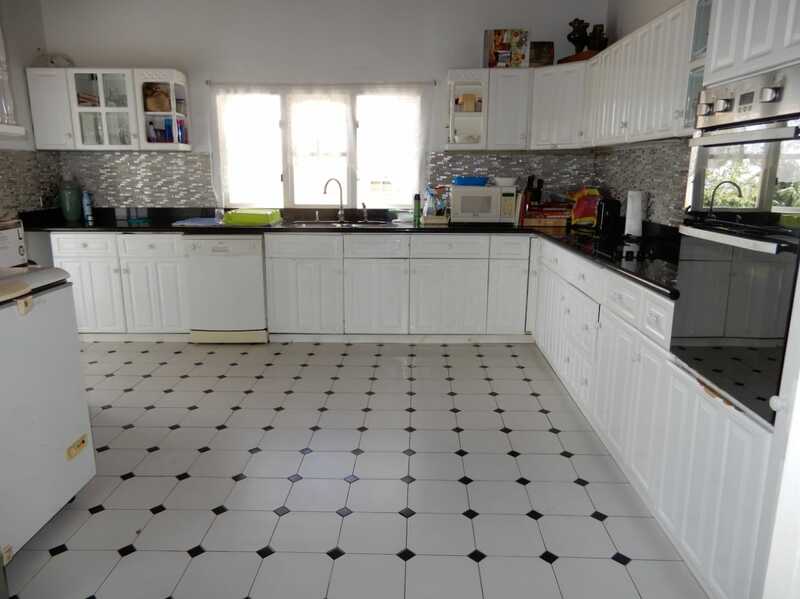 The kitchen has been recently updated and features granite countertops and stone backsplash with iridescent accents, built-in stove top, oven and dishwasher. 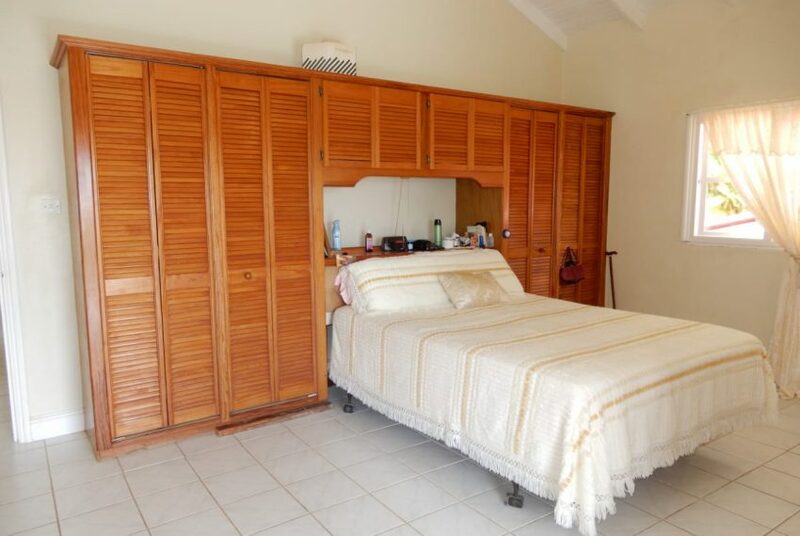 There is a large main level laundry room and storeroom – main level storeroom is a rare feature which ensures ease of access to stored items. 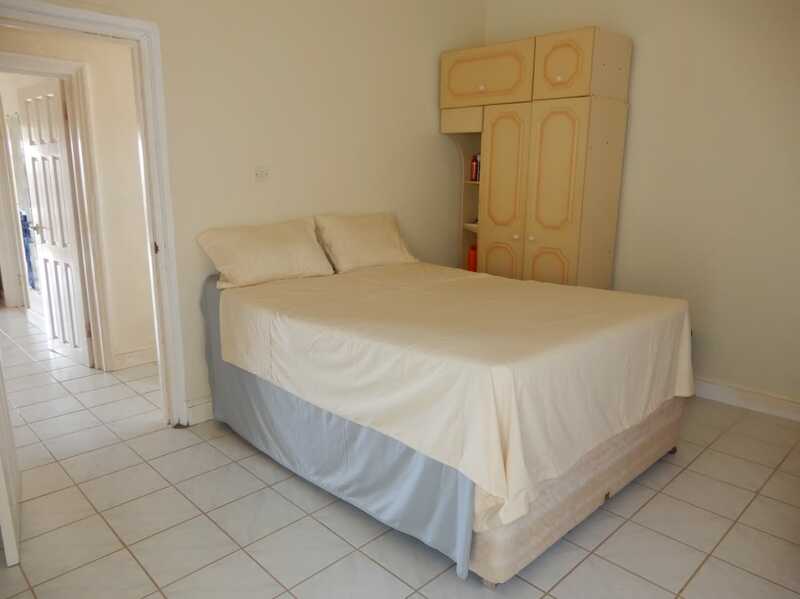 Potential to convert laundry and storeroom into a fourth bedroom due to size. 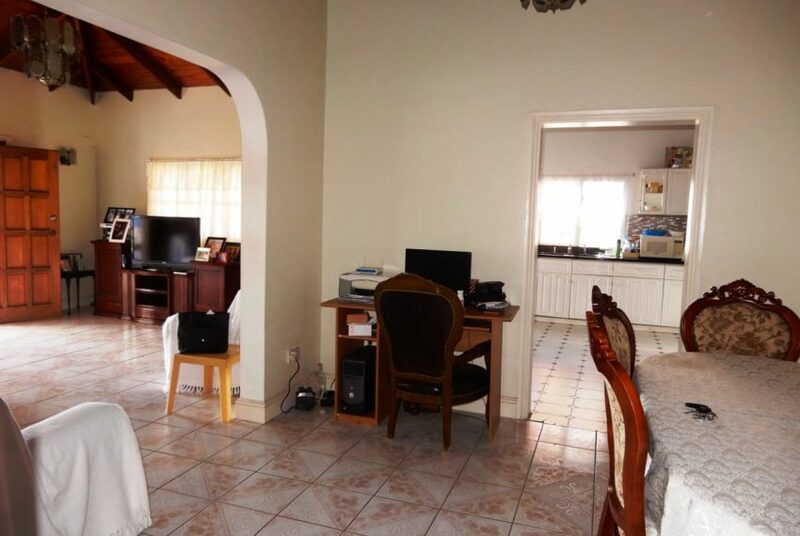 Off the dining room there is a covered patio which offers multiple options for use – can be converted into a playroom, gym, library or anything your heart desires according to need or preference. 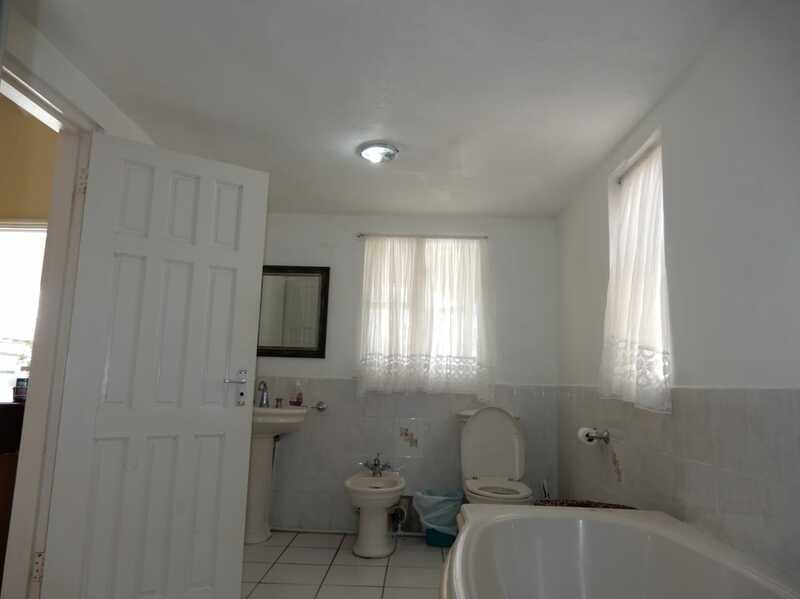 Across from the conveniently located powder room is a “nook” which would be the ideal location for a desk work-space. 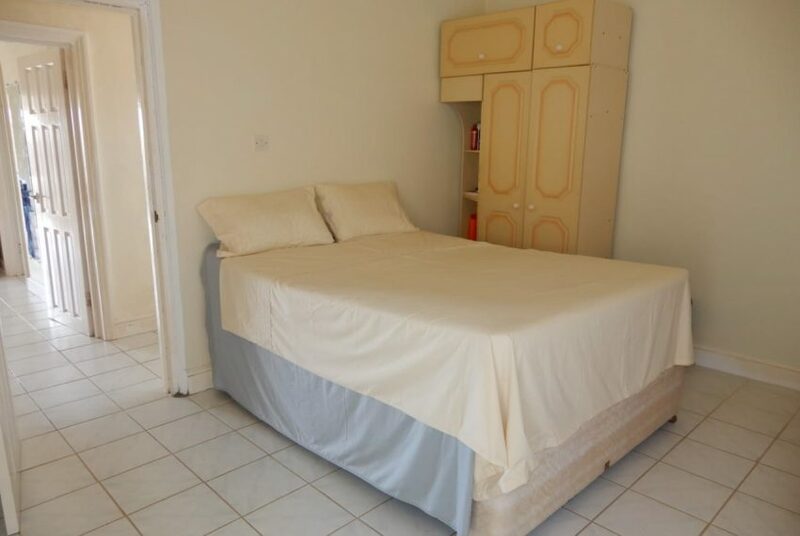 Less than 10 steps up and you come to the bright, sky-light lit hallway along which are three spacious bedrooms and 2 full bathrooms. 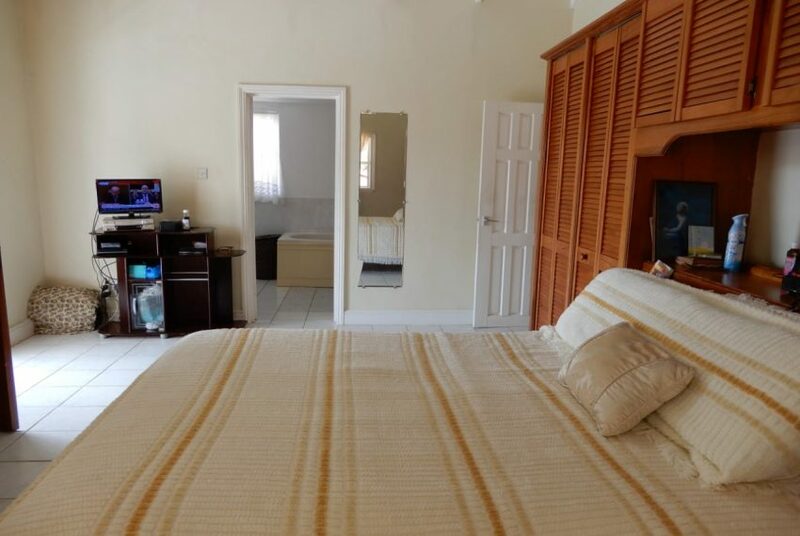 The master bedroom features double closets and its own balcony encompassing the beautiful sea view – large enough for a small table and chairs set, perfect for morning coffee and evening sunsets. 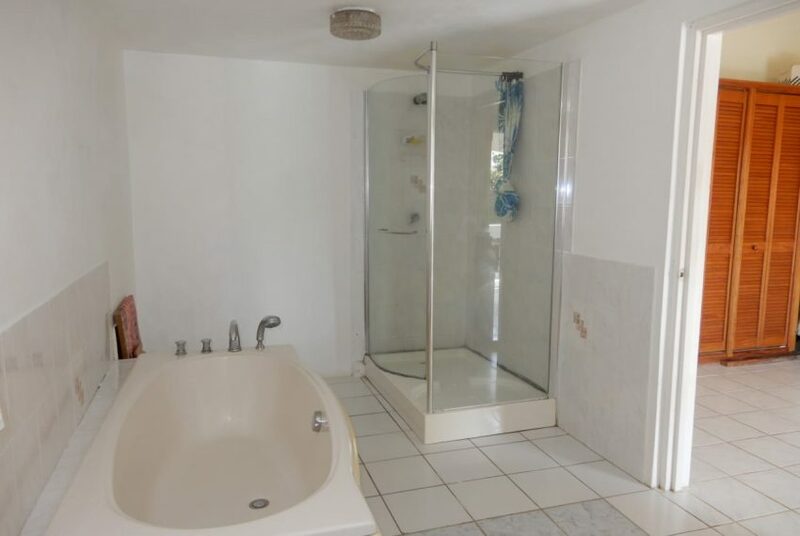 The master bathroom has separate shower stall and free standing tub for all those luxurious bubble baths. 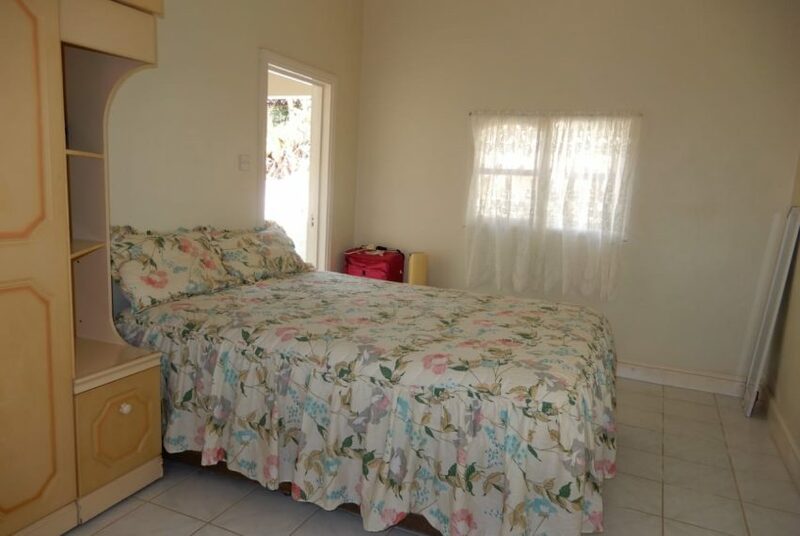 The two secondary bedrooms have an adjoining covered patio to the rear of the property. 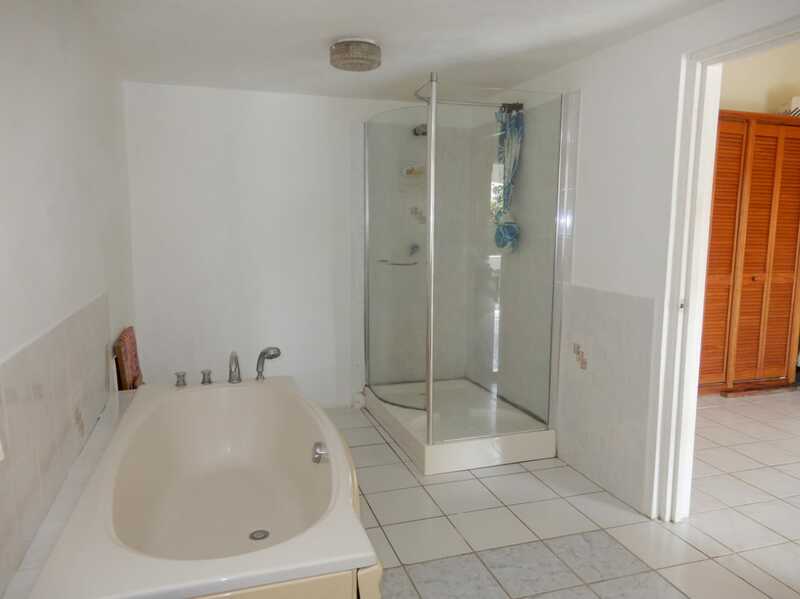 Both are serviced by a standard full bathroom with a gold-accented shower stall. 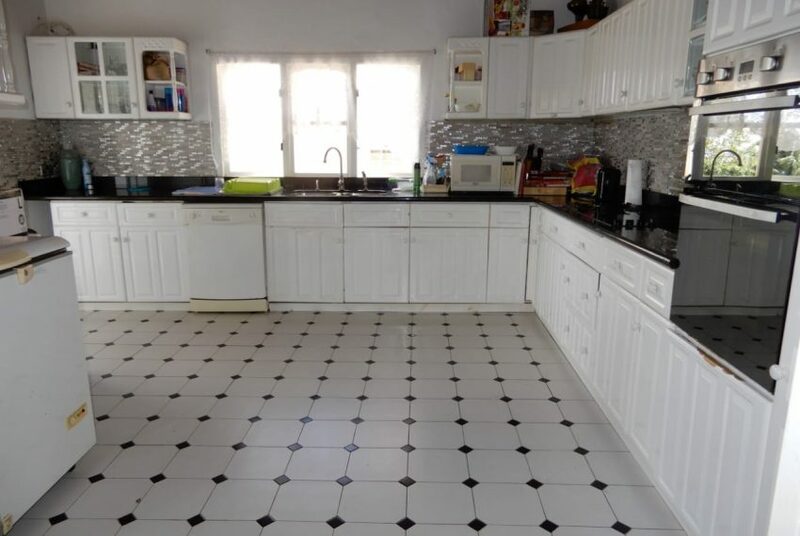 The interior of the home boasts tile flooring throughout to ensure ease of clean-up in any situation. 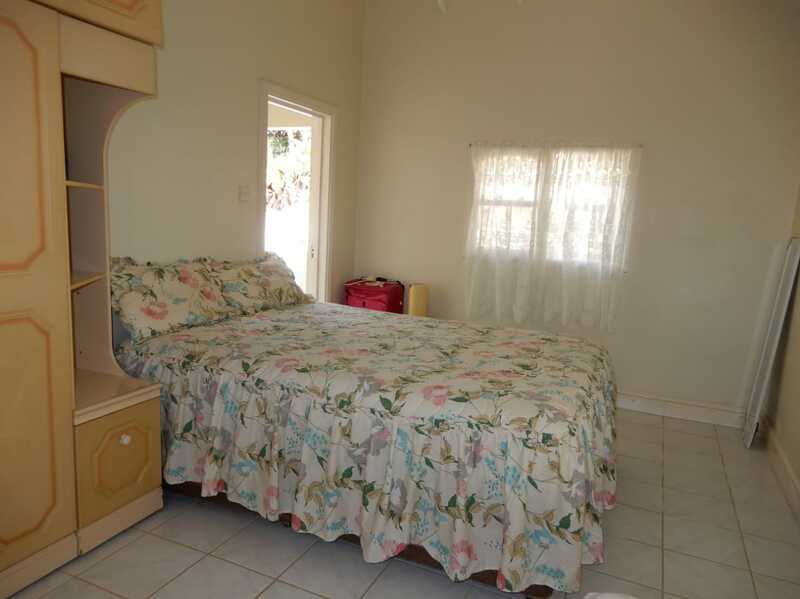 Property is being sold semi-furnished. 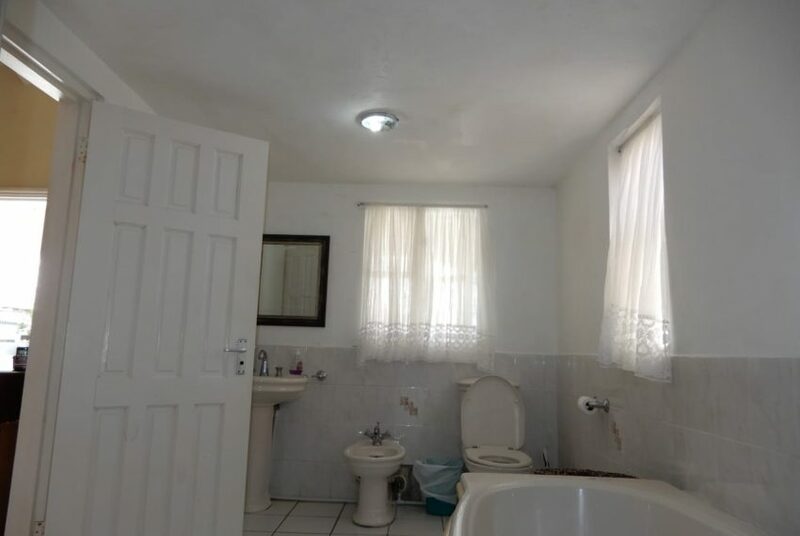 Potential to build income-making property on the lower level. 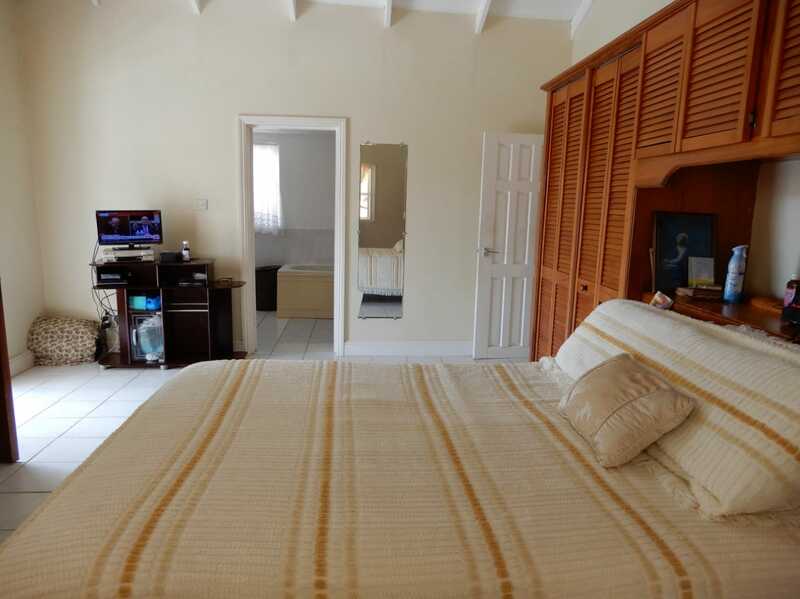 Additional amenities include: two 8 gallon water tanks with pump (one is elevated to ensure water availability in the case of a power outage) and solar water heater system. 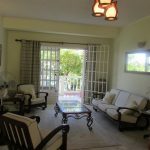 Due to lay-out and minimal step access, this property is perfect for a retired couple who needs space to house their grandchildren, but is also very well maintained and can be suitable for a younger family.